Sometimes the cost of a coaching course can put you off from achieving your ambitions. 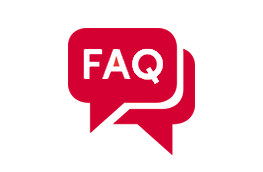 However, there are often sources of funding available to help part-fund, or even completely cover the course costs. Check out our advice on several funding avenues worth exploring. Please note, funding pots tend to open and close at irrregular intervals which means that all information given is time sensitive. One of the best organisations to speak to in the first instance is your County Sports Partnership (CSP). CSPs act as a hub for lots of other sporting organisations and administer lots of support programmes that you may be able to tap into. They will know about local programmes that can help fund coaching courses and may have bursaries to offer themselves. A list of all CSPs and their contact details can be found on the Sport England website at sportengland.org. Get Qualified offers to subsidise training courses for employees or volunteers in sports organisations in Lancashire and Cumbria. This funding can be used towards Level 2 and 3 coaching qualifications. There is an obligation for you to deliver a minimum of 15 hours volunteering in return for the support that you receive. Contact cumbriasport.com or lancashiresport.org.uk for more info. Local authorities often have specific grants available to help develop sport across a range of activities including attendance at coach education courses. Try contacting the Sports Development Officer within your local authority who will guide you through the funding options available and discuss the application process. For an A-Z list of local authorities visit direct.gov.uk. Some squash and squash 57 clubs may be willing to contribute towards the cost of your coaching qualification, especially if you offer to provide some free coaching hours in return for the funding received (providing funding for coaches benefits the club by increasing the number of qualified squash and squash 57 coaches and coaching opportunities available to members). 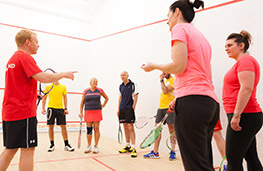 It is also worth contacting your County Squash Rackets Association to identify if they offer any grants to help increase the number and level of qualified coaches within the county. Again, it might be worth offering to help coach at county/feeder squads in return for funding received. Visit our contact page, to find out details of your county association. Visit Sports Coach UK to see further funding opportunities in your area. It's also worth following their Coach Funding page on Twitter for up-to-the-minute funding info. This scheme could help access between £300 and £10,000 available to support club development so if you can design a larger bid with the help of your club you will be able to incorporate the costs of your coaching course. Find out more on the Sport England website. Take your coaching to the next level with an England Squash course.